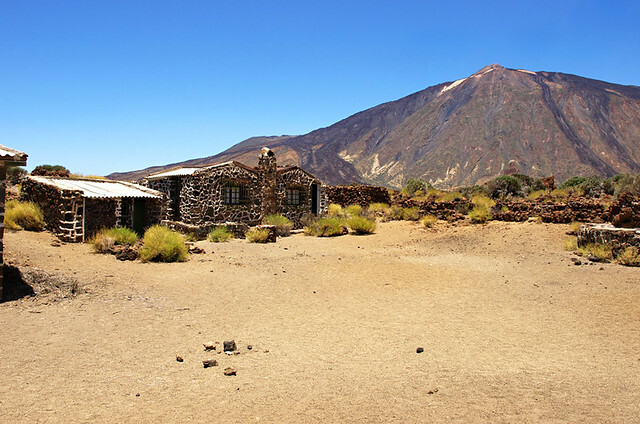 Why are there a collection of small stone buildings in the centre of the volcanic plains in Teide National Park? It’s the question we asked ourselves when we first wandered along the path dissecting the volcanic terrain to arrive at an unexpected small encampment of cottages. Even though their design was in keeping with the landscape around them, they seemed incongruous in a landscape where buildings are rare. What was their purpose? As it was a typically cloudless day in the crater, the shade of one of the cottage’s terraces was a welcome respite from the sun and a good place to ponder their existence as we munched on our bocadillos. We decided on two possibilities. 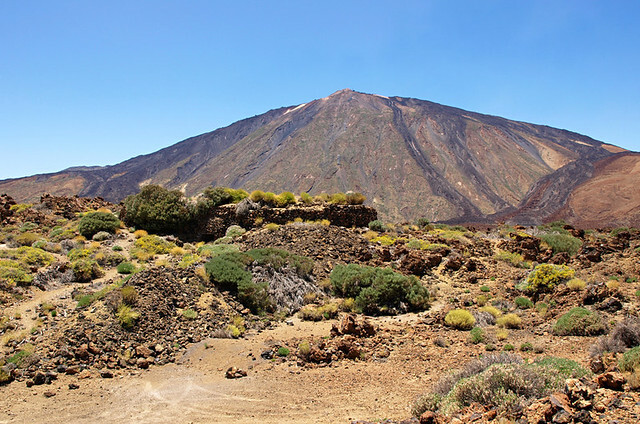 The first was that they were part of an outward bound type camp – a place for schools or officially sanctioned groups to come to enjoy/explore Teide’s manic landscape. The second was they were for hunters to ‘camp out’ in the park during hunting season or one of the culls. What a great place for barbecuing rabbits. A misty shroud seems to surround the full story of the buildings. 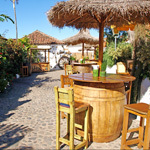 Back in the Victorian day, the Canary Islands were a popular destination for health tourism – i.e. wealthy travellers would seek out their near perfect climate because it alleviated some medical problems. The pure air at the level of the crater was considered to help ease respiratory diseases such as bronchitis and pneumonia. Inquisitive physicians from Northern Europe flocked to these shores to research how time on the islands could help cure illnesses, some being inspired to write sleep inducing tomes as a result. The mysterious little houses, known by some as the casetas de los Alemanes, were part of a German project to build a sanatorium in the park in the early 20th Century. As this was about the same time as the storm clouds of war were gathering across Europe, there were also rumours/accusations that their construction might not solely be for medical purposes. Concerns about espionage in Tenerife and the Canary Islands were relatively common in those days. As various political and diplomatic manoeuvrings took place, a few buildings were constructed but the project was never fully realised. Like the leper colony on Tenerife’s east coast, the passage of time and developments in Europe meant the sanatorium wasn’t completed and subsequently never actually welcomed any patients. The crater being declared a National Park in 1954 drew a definitive line through any lingering plans to use the area as a health centre… or for any other purpose. So the handful of cottages continue to exist enigmatically, hidden from all except those who explore the crater’s dusty trails. How long they’ll just sit there, arousing the curiosity of passing hikers, who knows? A mystery continues to surround their ownership. 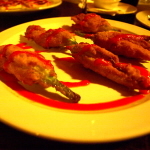 Nobody seems to know who they actually belong to; a technicality which creates a sticky situation for the authorities. They can’t legally tear down what they don’t own, especially as it seems their construction was given the green light by Orotava’s council in the first place. 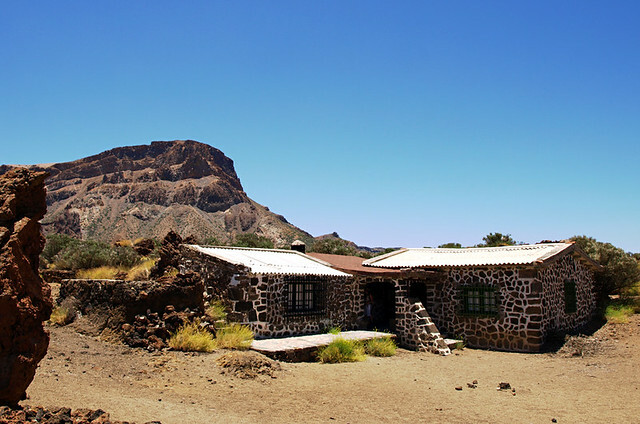 Would make a perfect site for a lodge for amateur astronomers to enjoy the dark skies of Tenerife. That would be pretty special. The book ‘A Whisper of Espionage’ by Ronald Ley makes several references to these buildings. The book is about Wolfgang Köhler. The theory is that the buildings were originally supposed to be an observatory but were actually a spy centre. Interesting. A neighbour told me about the book years ago and about Köhler’s experiments with chimpanzees, but I haven’t read it yet. Sounds like fascinating times.